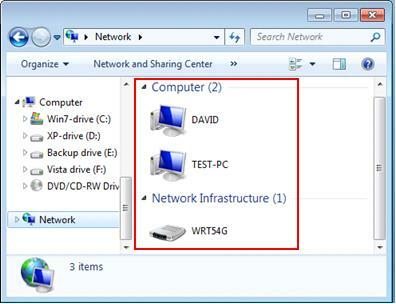 Here are some simple methods to access shared files or printer of other computers on same network in Windows 7, and you can always choose the method which you prefer. I also assume you have enabled file sharing or other sharing correctly on other computers. Please also ensure there is no firewall blocking on the computer that you try to access, if not you won’t be able to get the access. 1) Go to Start and click on Computer. 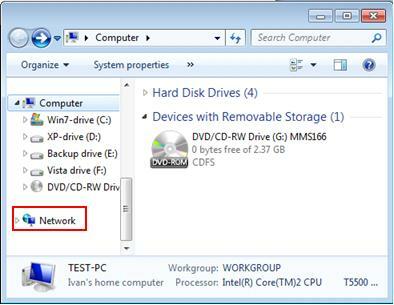 2) A file explorer window will appear, scroll down on left panel to locate and click on Network. 3) It will then show you all connected computers, printers or other network devices, you can just double-click on the computer to access the shared documents. Note: Press F5 button to refresh the screen if you do not see the other connected computers or network devices. 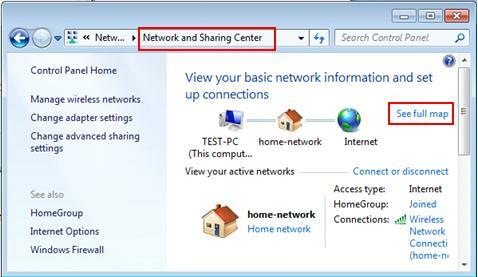 1) Open Network and Sharing Center, click on See full map. 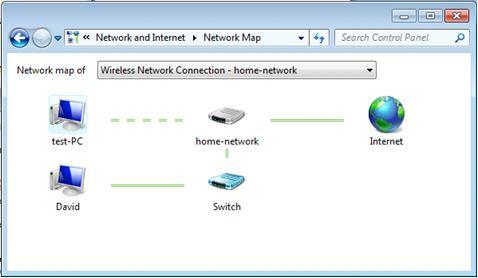 2) Full network map that contains all connected network devices will be displayed, you can proceed to double-click on the computer to access shared file or printer. If you know the IP address or hostname of the computer that you wish to access, type the \\\\IP-or-hostname in file explorer bar and then hit "Enter" button, you should then be able to access that computer if it’s online. In this example, I type \\\\192.168.1.101. 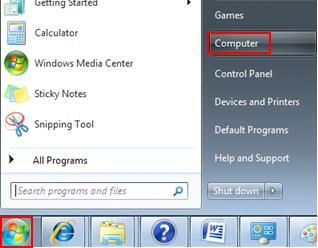 Return to top of "Simple Methods to Access Shared Files or Printer in Windows 7"! !